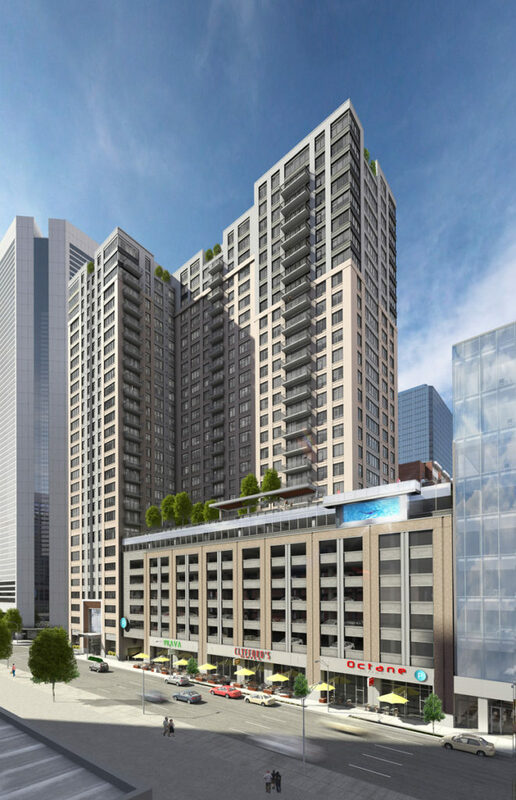 Below are updated renderings of 1776 Curtis, a 28-story apartment building under construction in Downtown Denver. Renderings are courtesy Davis Partnership Architects . Shea Properties is the developer. The property has most recently served as a parking lot which closed in advance of construction. 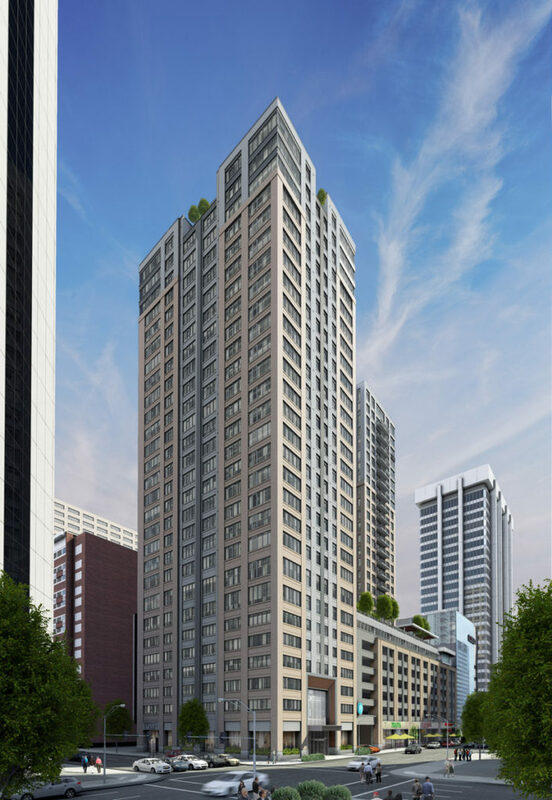 The residential portion will rise to 28 floors, with the 28th floor serving as a mechanical penthouse. 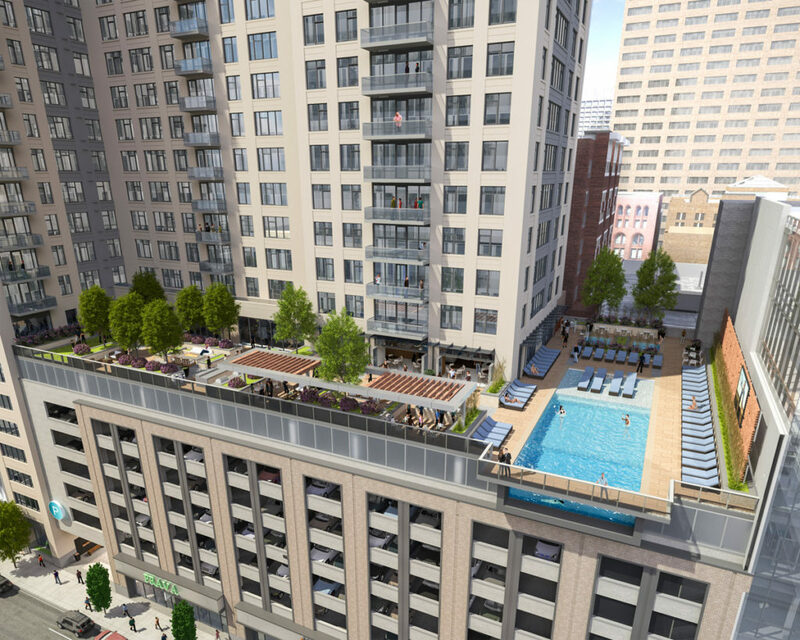 A total of 359 apartment units will be offered in studio, one, and two bedroom options. The 27th floor will feature penthouse units. Ground-floor retail space will be incorporated in 1776 Curtis. 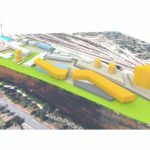 The project will have a total of 16,965 square-feet of retail space. Structured parking will be included and will feature a total of 535 parking spaces. 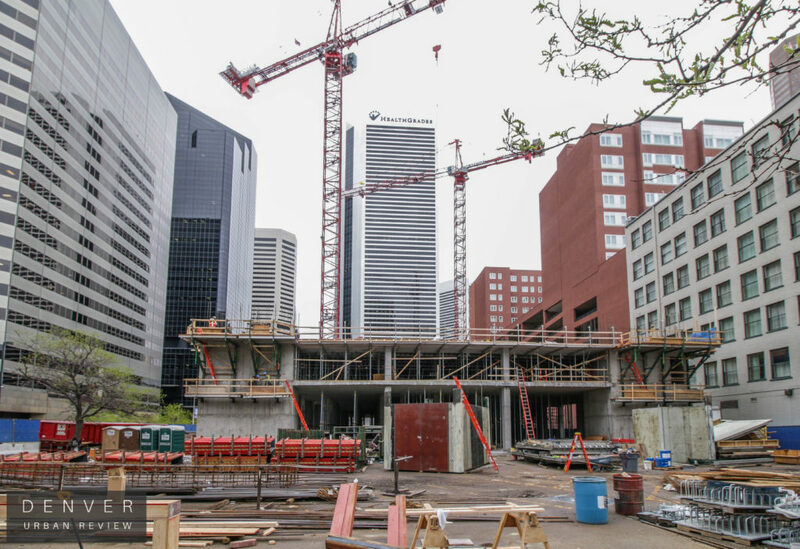 Construction of 1776 Curtis is slated to take 25 months, which puts this downtown Denver construction project on target for a 2018 1st quarter opening. The residential side will be constructed using concrete with a precast skin. Amenities will be featured on the 8th level of the residential portion and will include a pool, two spas, an outdoor common space with fire places and grills. A fitness room and a dedicated space for dogs will also be showcased. A 9-story office building will be constructed on the 17th street side of the project as well. Boring design. Could’ve looked so much better. Kool project for downtown Denver. Would anyone know what the height of the 9 story office building will be, from street level to rooftop? 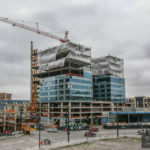 Would anyone know what the total height of the 9 story office building will be, from street level to rooftop? This looks like a nice project. Not exciting, but a great filler project. They are the backbone of any good city. I agree, especially when it comes to residential projects in downtown proper. Between this one and SkyHouse an increase in population will make this part of downtown more lively after the workday as this part of downtown is dominated by office buildings and gets pretty quiet after about 6pm.